We run through seven essential router bits that are used to manufacture Opendesk furniture around the world. CNC machines - essentially large computer-controlled drills - use many types of ‘router bits’ to cut material in different ways. We couldn’t possibly run through them all, so we’ve boiled it down to the seven key router bits that are regularly used by Opendesk makers to manufacture our furniture. We’ve put together a list which includes engraving bits, up-cutters and chamfer bits. 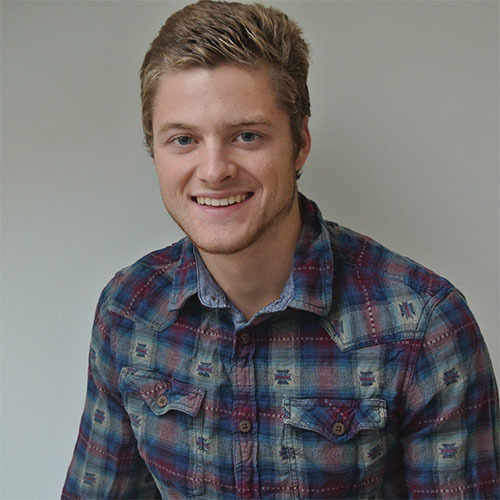 Our CNC making guru, Ben, has provided detailed descriptions of each. The exact terminology used to describe each router bit may differ from country to county. We’ve gone with the terms we use in our London-based studio with supporting animations to avoid any confusion. 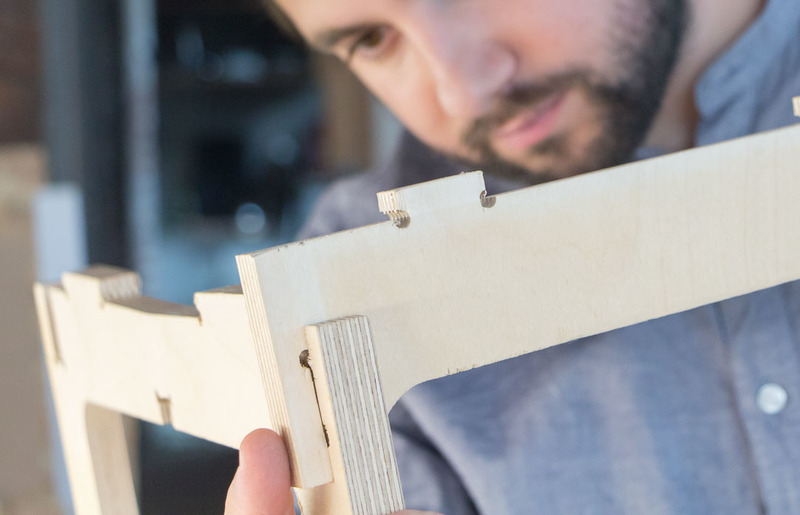 Whether you’re an experienced maker looking to sign up on Opendesk or a hobby maker exploring CNC milling in your local makerspace, this guide will help you learn the ropes. Also, refer to our CNC machines and common cut types guide for a detailed description of the machine processes used to carve Opendesk furniture. Generally used for a first pass, this bit forces material down so to create a clean cut on the top surface of the material. Notice the spiral flutes running downwards. If the bit goes through the material, there is a danger it will force the grain to split and rip out on the opposite side. Ideally, a space between the material and the cutting table is necessary to clear dust away, otherwise, a fire could break out with the build-up of compressed saw dust. Opposite to the down-cutter, this tool’s flutes rotate in the opposite direction, forcing material up and away from the material. If this cutter is used for the first pass the top surface may rip out, causing unpleasant splintering around the cut area. The tool is best used after a down cutter to cut through the material, eliminating tear out on the opposite face. Ideally used on machines with a vacuum bed, this cutter allows a very good surface finish when used in combination with a down-cutter router bit. Possibly the most common router bit used to manufacture Opendesk furniture. This tool combines the down-cutter and up-cutter into a single router bit. The bottom 6mm of the bit features up-cutting flutes with the rest of the bit featuring down-cutting flutes. Notice the bottom section of the tool spiraling upwards with the section above rotating downwards. This tool can cut many materials in one pass with the opposing flute direction preventing chipping or fuzzing on the top and bottom of the cut. Because the saw dust is compressed at the bottom of the cut, components are packed in place tightly meaning they do not move on the machine bed. These tools are great for skimming off a thin layer of material over large surface areas. Thanks to their large diameter they are able to cut very quickly. On Opendesk products, these tool bits are used to remove laminates from components that need to be glued together. Typically, they only cut to a depth of between 1 mm/ 2 mm in order to leave the bare wood beneath the laminate untouched. A chamfer bit or ‘V bit” is commonly used to create an angled edge. 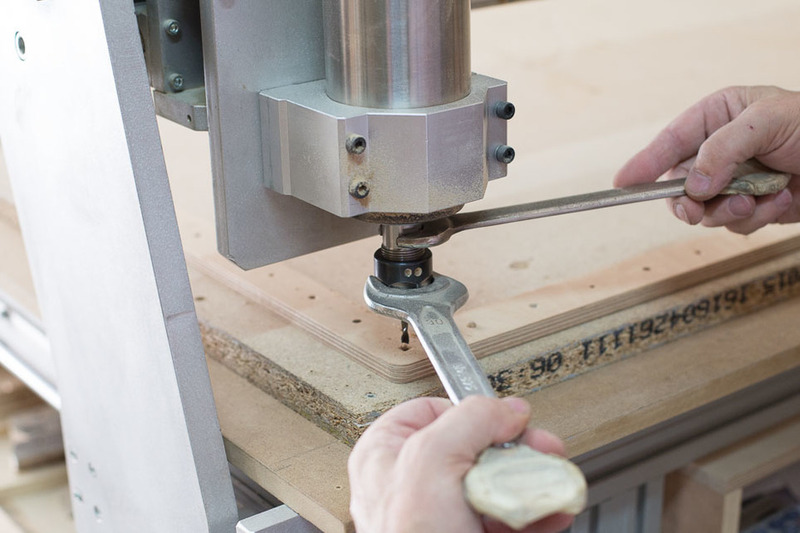 On Opendesk furniture, the tool is used to give tabletop edges an angled finish. They can also be used to reduce the sharpness of laminates and brittle materials by softening the edges. Chamfer bits are available in many angles with the most common being 45 degrees. A fillet bit or ‘rounding bit’ can also be used to give all edges a smooth rounded finish. The size of this rounded edge can be controlled with the depth of the pass. Deeper passes will result in larger rounds. Shallow passes will result in small rounds. Different shapes of round over can be achieved with different fillet bits. These small bits are very fragile and can only cut into material 1-2 mm at a time. The bit must pass through material very slowly to avoid it snapping. Available as an up-cutter or down-cutter, this bit is perfect for detailing. We use them to add logos and other artwork to table tops. 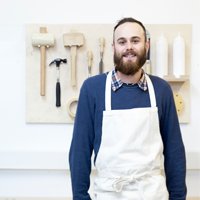 Don’t forget to check out our other guides Design for Open Making and CNC machines, Digital woodworking- remastering traditional joints and CNC machines and common cut types. 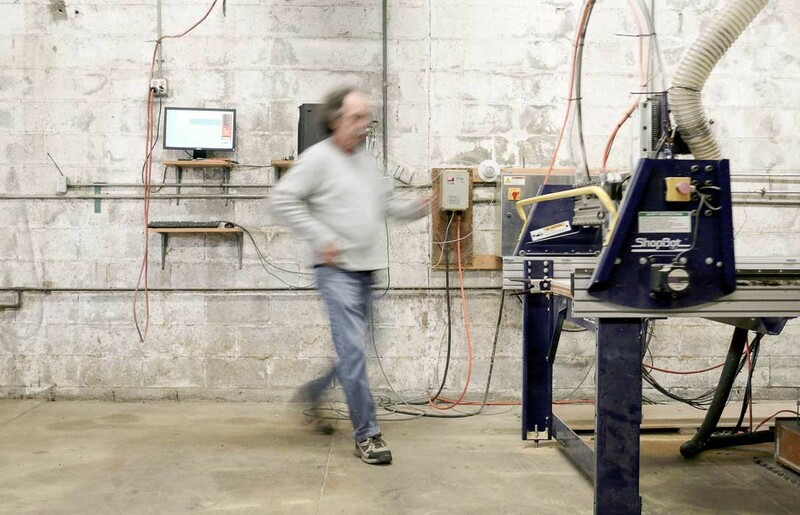 A self-proclaimed CNC Dinosaur reflects on 20 years making dust and noise.